Here we go. Ted Stevens’ lawyers have been busy, and they will soon file a motion seeking a new trial for Alaska’s outgoing senior senator. His recent trial which found him guilty on seven felony counts on failure to disclose gifts and home renovations on his Senate Disclosure Forms was fraught with…weirdness, for lack of a better term. A witness being sent back to Alaska early by the prosecution, evidence being withheld from the defense, a juror having violent outbursts and other jurors trying to vote her off the island, another juror fabricating a story of her own father’s death and skipping town to watch a horse race, a key witness coming forward and admitting he committed perjury and stating that the prosecution showed him documents he wasn’t supposed to see, the same witness revealing a supposed contract on his life from the star witness for the prosecution… If this were the plot of a legal thriller, we’d advise the author to tone it down a bit and make it believable. But real life, as it often happens, is stranger than fiction. Stevens, who was defeated in a bid for a seventh full term, will ask Judge Emmet Sullivan to overturn his conviction on seven federal corruption counts for failing to disclose more than $250,000 in improper gifts. Stevens’ defense team raised numerous objections to the Justice Department’s handling of his corruption trial, arguing that the government deliberately withheld potentially exculpatory information and witnesses during the proceedings. In addition, a prosecution witness, David Anderson, said he was coached by prosecutors on his testimony prior to his appearance as the final government witness, and unofficially promised immunity for himself and his family and friends if he took the witness stand. Prosecutors have vehemently denied Anderson’s allegations. A hearing on Anderson’s claims, laid out in a letter to Judge Sullivan, will be the subject of a hearing next month. Stevens’ attorneys have not actually filed their request for a new trial yet, but are asking leave from the judge to submit a lengthy motion, one that exceeds local court rules on how long such a document can be. Every once in a while, going through my usual rounds online, I come across an unexpected jewel. This one came from TPM Muckraker in the form of a wonderfully organized and aesthetically pleasing Ted Stevens Corruption timeline! It’s a true tale of descent from Last Frontier Icon, to really old semi-pathetic felon. The chronology begins with the fateful line, “Sen. Ted Stevens mentions to his friend, VECO CEO Bill Allen, that his daughter could use a new car,” and it’s all down hill from there. I don’t know why I always get such a kick out of that quote. No, he didn’t commit murder, or knock over a bank, or kidnap someone for ransom. And that makes us glad. But by implication, we’re supposed to feel good that it’s just a garden variety felony, a minor felony, a felony hardly worth mentioning. Whew! Dodged a bullet, there. I was worried for a minute. The timeline ends on November 20, 2008 when Stevens makes his last appearance on the Senate floor. I’m hoping the timeline will continue with updates, because Stevens may be out, but the cadaveric spasms of his long career in Alaska politics continue. David Anderson, the witness who said he lied under oath regarding an immunity deal, has also stated that the prosecution showed him documents before the trial that he wasn’t legally supposed to see. Judge Emmett Sullivan, who undoubtedly had been hoping he’d seen the last of this trial has scheduled a hearing for Monday to determine whether Stevens’ attorneys can question Anderson, Allen’s nephew and a welder who worked on Stevens’ renovations….the one’s he ‘forgot’ to disclose on his financial disclosure forms. We’ll try again on Monday. Juror #11 at the Ted Stevens trial, the one who filled in as an alternate, after Juror #4 skipped town feigning the death of her father to attend a horse race, is talking to KTUU in Anchorage. Whether Stevens’ appeal goes anywhere remains to be seen, but there’s still plenty of courtroom drama left in this story. The Curtain Goes Down on Ted Stevens. Today was the end of an era. Ted Stevens took the floor in the U.S. Senate for the last time. The first time was in 1968, before most Alaskans were born. He actually did get voted out of office, but it took seven felony convictions, a strong centrist Democratic challenger, and an Alaskan Independence Party candidate endorsed by Ron Paul to do it. This is a good thing, because my only options had he won were wearing a bag on my head, or moving to Canada. 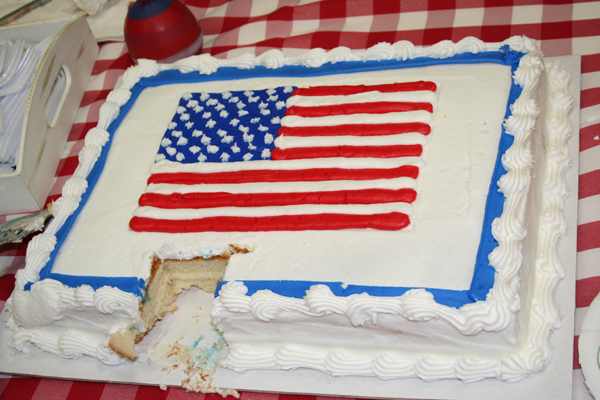 Last night, in downtown Anchorage, at the Snow City Cafe, Mark Begich celebrated his very belated victory with supporters. How could it have possibly taken this long? How could the race have been so close? Listen to Ted Stevens’ farewell address. As an Alaskan, albeit a left-leaning one, there have been times, I’ve actually felt sorry for Stevens. As I listened to him recount his experiences taking Alaska from a fledgling state with little infrastructure, to where it is today, with a highway system, hospitals, airports, and other things that improve the quality of life here, I had a moment of sadness. What a way to end his career. What a stupid mistake. What a shame. Lost in this flickering moment of nostalgia, watching this old, beaten man, I heard the words “radical environmentalists” come out of his mouth. I immediately snapped out of it, feeling like I’d been hit in the face with a wet fish. I suddenly remembered what it is I can’t stand about this guy. Then, as he finished up and yielded the floor for the last time, his Senate colleagues did something I have never seen. The violated Senate protocol and gave the man a standing ovation, for almost a full minute. That’s right United States Senators from across the nation, rose to their feet, and applauded a man who is stepping down, not because he is voluntarily handing the reins to a new generation, but because his seven felony convictions blew the election for him. It was like watching the villagers cheering for the head on the pike. The Stevens love-fest went on for some time, with contributions from both sides of the aisle. “May all the roads that you have built, Ted, rise up to meet you,” said [Sen. Robert] Byrd in a variation of the Irish proverb. Byrd, 91, whose age has made him prone to outbursts on the Senate floor, shouted out “Amen, Amen!” while Stevens’ friend, Sen. Orrin Hatch, R-Utah, spoke. Sen. Joe Lieberman of Connecticut, an independent who caucuses with the Democrats, described the close across-the-aisle friendship his own wife and Stevens’ wife have. Sometimes, Lieberman said, people forget that senators are “normal people” with ordinary homes and lives in Washington. During the tribute, Stevens’ wife, Catherine, and his daughter Beth sat in the front row of the upper gallery of the Senate, surrounded by nearly 100 friends and staffers. Dozens more crowded in the seats lining the Senate chambers. As Stevens concluded his remarks, many in the Senate gallery and all of the senators and aides on the floor of the Senate offered a standing ovation. Many of his staffers and friends walked out of the Senate chambers with red-rimmed eyes, dabbing at their tears. While they applauded, Stevens sat. Then he stood, shaking hands with the longest-serving U.S. senator in history, Byrd, and the top two leaders of the Senate, Reid and McConnell. Finally, Stevens embraced Inouye, a man he called “his brother” during his speech. “The Bible tells us, the Old Testament, two are better than one, because they have a good reward for their labor, for if they fall, one will lift up his fellow,” said Reid, the Senate majority leader, referring to the friendship between the two men from the 49th and 50th states. Senate Majority Leader Harry Reid, after the Bible quote, called Stevens a “lion” of the senate. Is this the same Harry Reid that called for Stevens to step down and promised that if he were elected, and returned to the Senate, his colleagues would vote to expel him? I’ve given up trying to figure out what kind of magic Ted Stevens has. It’s like that old radio show….The Shadow. It’s like Stevens has “traveled to the Orient and learned the secrets of clouding men’s minds.” But I do feel better that it isn’t just Alaskans that have this cloud problem. I just watched the majority of the United States Senate give a standing ovation to a convicted felon. They say it ain’t over til it’s over. Ted Stevens conceded the Senate race to Mark Begich today. Given the number of ballots that remain to be counted, it is apparent the election has been decided and Mayor Begich has been elected. My family and I wish to thank the thousands of Alaskans who stood by us and who supported my re-election. It was a tough fight that would not have been possible without the help of so many Alaskans – people who I am honored to call my friends. I will always remember their thoughts, prayers, and encouragement. I am proud of the campaign we ran and regret that the outcome was not what we had hoped for. I am deeply grateful to Alaskans for allowing me to serve them for 40 years in the U.S. Senate. It has been the greatest honor of my life to work with Alaskans of all political persuasions to make this state that we all love a better place. I wish Mayor Begich and his family well. My staff and I stand willing to help him prepare for his new position. Alaska has a Blue Senator. Mark Begich has won the election. So where do we stand, and what does this mean? Mark Begich – It means that Mayor Senator Begich gets to pack his bags and head to Washington DC, with his wife and son, to start giving progressive Alaskans and centrists, and people who don’t want a convicted felon representing them in our nation’s capitol, a voice. If he’s wise, and smart, he will take the Ted Stevens debacle as a cautionary tale. If he plays his cards right, he could be there for a long long time, but the Republican party will have him in their sights, and be watching for every little slip-up. If the Democrats in the Senate are wise and smart, they’ll be really nice to Senator Begich and give him a couple nice feathers in his cap to wear home to Alaska. They know the kind of bombastic, blow hards Alaska is capable of sending to the capitol, and they probably don’t want it to happen again. And they sure don’t want Sarah Palin gunning for an open senate seat in 6 years. Mark Begich will be like salve on a wound for many who have had to endure Ted Stevens for decades. Who will fill Mayor Begich’s seat after he leaves? Anchorage Assembly Chair Matt Claman. Matt just took over the chairmanship of the Assembly when a surprise progressive majority took over the paralyzingly conservative Anchorage Assembly that had previously been populated by junior versions of the aforementioned bombastic, blow hards. When the Assembly shifted to the left, Claman was chosen. I know Matt Claman and he’s a good guy. He lacks the extroversion and charisma of Begich, but his principles are sound, and he’s a concensus builder, and a rational thinker. He’ll probably do a pretty good job. He’ll be there until April, when the mayoral elections happen. He may decide to run for the position officially at that time. There are several others who have thrown their hat in the ring too. And this may cause some interesting wrangling, since one of those candidates is Assembly Vice Chair Sheila Selkregg. Today’s Anchorage Daily News has an interesting article on these behind the scenes goings on. The Don Young Door – Congressman Don Young will be up for re-election in 2010, but may be out before then. He’s already spend a whopping 1.2 million dollars on legal fees in anticipation of his own coming indictment. Alaskans have been waiting for that shoe to drop for a while now….and it’s coming. It’s just a question of when. Look for headlines coming soon to a paper near you, now that Alaska politics has wormed its way into the national consciousness. But even if Young survives this, his 19th term in Congress, I don’t think Sarah Palin is gunning for his job. I just don’t think Congress is her style. The Lisa Murkowski Door – Now we’re talking. Sarah unseated Lisa’s father Frank Murkowski when she became governor in 2006. This would be the second Murkowski trophy head on her wall. Murkowski hasn’t done a bad job in most Republican’s minds, but she hasn’t knocked their socks off either. It’s not a sure thing by any means that she’d be able to hold her seat against Palin. And the Senate, as we have just witnessed, can be an effective stepping stone to the Presidency, which is what Palin is gunning for in the long run. That’s the door she thinks God will open for her – the big fat door to the Oval Office. She’s “wired for the mission” and would be ready to run in 2012, or 2016. The Direct Door to the Presidency – If Palin can hold on to office for another term, she may be banking on her national celebrity, and name recognition, and her Christian conservative buddies in high places to take her from the governorship to Pennsylvania Avenue…or so she hopes. She’s up for re-election in 2010. And who knows…she may feel fully qualified by that point to throw her hat in the ring anyway. And what about Ted Stevens, and his suddenly awkward and very visible namesake – The Ted Stevens International Airport. Before we break out the chisels and hammers, the Anchorage Assembly and the Public Facilities Advisory Commission, and who knows who else, will have to do some political soul searching, and have lots of meetings. Stevens’ legal appeal process moves forward, and he’ll fight tooth and nail, like he always does. And amazingly, he is still eligible, despite his seven felony convictions, for his senate pension of $122,000 a year, courtesy of taxpayers. Although there is a recently-passed federal law that prohibits felons from collecting on these pensions, Stevens’ particular felonies were not on the list, and they were committed before the law went into effect. Maybe next time. My State is 1/3 Blue for the First Time in Three Decades! Well, the final tally today had Mark Begich leading convicTed Stevens by 3724 votes. It’s a happy happy day on the Mudflats! Mark Begich has officially won the Senate seat. Alaskans have done something right. That means that my red red state isn’t so red anymore. We have just elected a Democrat to the U.S. Senate for the first time in 30 years! OK, I know….it took running against a seven time convicted felon to do it, and it was still really really close… but nobody better snow on my parade! I’m having a small-scale flashback to election night, when I felt, for the first time in a long time that there was someone out there who was representing me who was actually representing me! I feel suddenly relevant…light in my heart…with something that feels like a golf ball lodged in my throat. I truly never thought I’d see this day. When I first moved to Alaska, almost 2 decades ago, I was told by my future spouse that the only thing that would get Stevens and Young out of office was the grim reaper. Who could have known about those undeclared home renovations? I pause for a moment to salute the very excellent House candidate, Ethan Berkowitz who was unable to unseat Don Young. He came closer than anyone ever has, and deserves our gratitude. Who knows…when Don Young gets convicted, maybe Ethan will give it another shot. Begich issued a statement shortly before 5 p.m. claiming victory. The Stevens campaign has made no comment. Begich more than tripled his lead today after the state counted about 23,000 absentee and questioned ballots from Anchorage, Southeast Alaska, the Kenai Peninsula and Kodiak. The state finished counting from other parts of the Alaska last week. 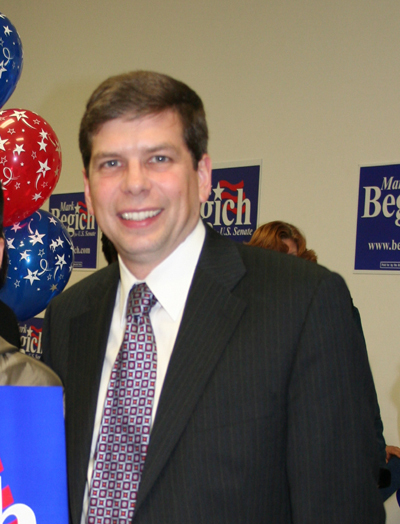 I take this opportunity to congratulate Senator Mark Begich! I am proud to have him representing me in the U.S. Senate. And I offer these humble words of advice, Senator, now that you have done the impossible, slain the political lion, and defeated the Republican Goliath. To celebrate this amazing event, I have turned all the commenters into joyous little critters! Change is in the air!